Did you know these fun facts about heating, ventilation and air conditioning? 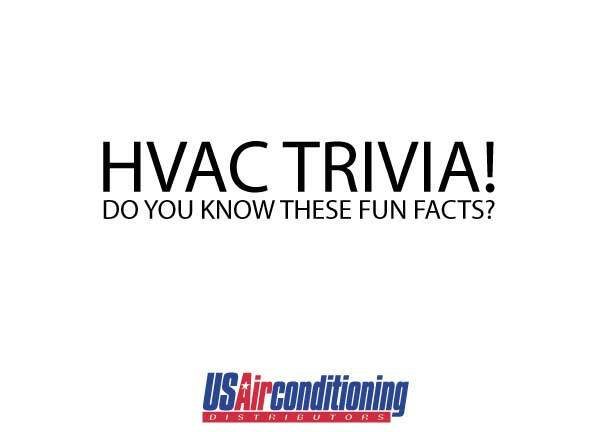 Tab up the number of fun facts you knew before reading this article down below to see how well you know your HVAC trivia! The first home fully-equipped with air conditioning was built in 1913 in the city of Minneapolis. Charles Gilbert Gates commissioned the project for his mansion that would span across three city lots. The home also featured a full-sized ballroom and gold plumbing! Gates died before the home was completed so he never got to enjoy the masterpiece. Modern air conditioning was thought up by a man working in the publishing industry – extreme heat caused ink to bleed and paper to wrinkle, a problem he wanted to fix. You can thank air conditioning for your summer breaks as a kid. The lack of A/C back in the day made the classrooms unbearable, so schools were dismissed for the hot summer months. The first car to feature A/C was introduced by the Packard Motor Company in 1939; the model wasn’t very popular because the price was too high and the cooling system took up almost half of the trunk space. One of the first business industries to adopt air conditioning was movie theaters. The A/C used in these establishments helped coin the phrase, “Summer Blockbuster,” because patrons ran to the theaters not only for entertainment but to escape the heat for a couple of hours. Marketing experts took advantage of this trend and saved their big flicks for the summertime! A/C can literally save lives! Researchers discovered that sudden deaths due to extreme heat have fallen over 80% in the last 50-year period. They were able to correlate this to the mainstream and widespread use of air conditioning. The Romans were the first to use a “hypocaust,” an ancient heating system that was found in the homes of the richest and most powerful Romans. The amount of energy used just to run air conditioning in the U.S. is about the same amount used to power the entire continent of Africa. That doesn’t even include heating! The first President to have A/C in the White House was Herbert Hoover. The cost to install the system in the oval office was $30,000 and the project took place just after the beginning of the Great Depression. Hmm… interesting timing! It cost about $350 to buy a basic air conditioning unit in the 40’s. In today’s coin, that translates to about $3500. 1-3: Looks like you need to study your HVAC trivia! 4-6: Not bad, but there’s room for improvement. 7-8: Wow! You really know your H-VAC fun facts. 9-10: You’re an expert! You sure you didn’t write this article yourself?